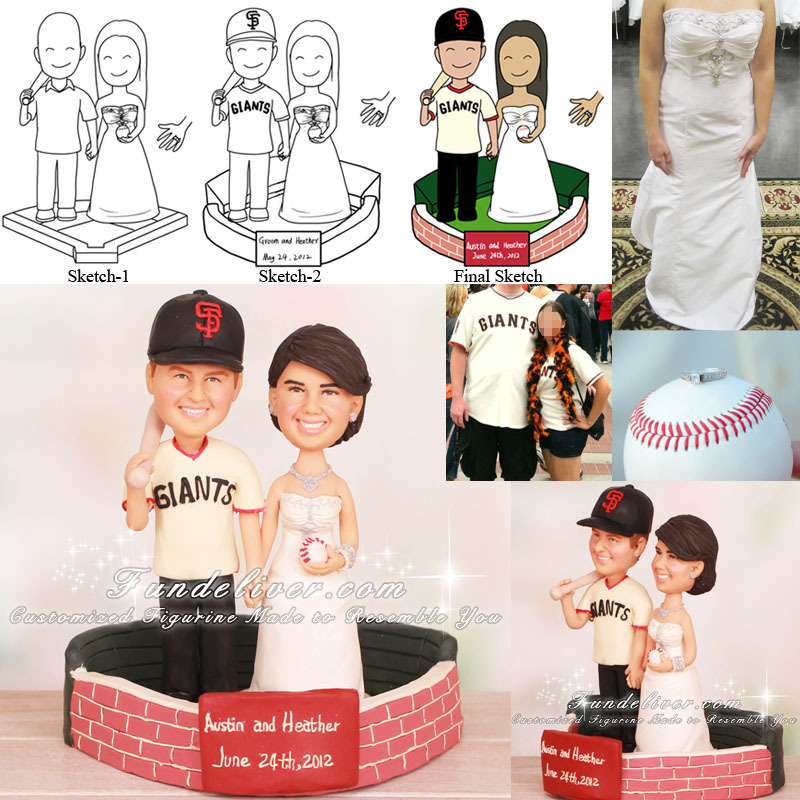 This is a completely customized couple standing inside of San Francisco Giants stadium with wedding cake topper ordered by one of our customers. 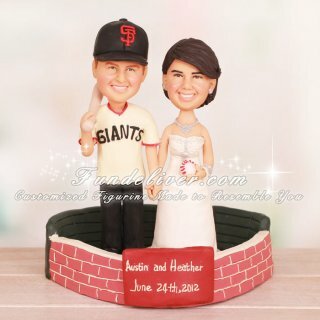 They would like their figurines to be standing inside of the San Francisco Giants Stadium (AT&T Park) with their names and wedding date in front. The bride is wearing her wedding dress, holding a baseball and having her ring visible on her ring finger on her left hand. And the groom is wearing his SF Giants jersey and black dress pants for his bottoms with black dress shoes and his baseball hat. Also he is holding a baseball bat, rested on his shoulder.